It must have been 27 years ago. 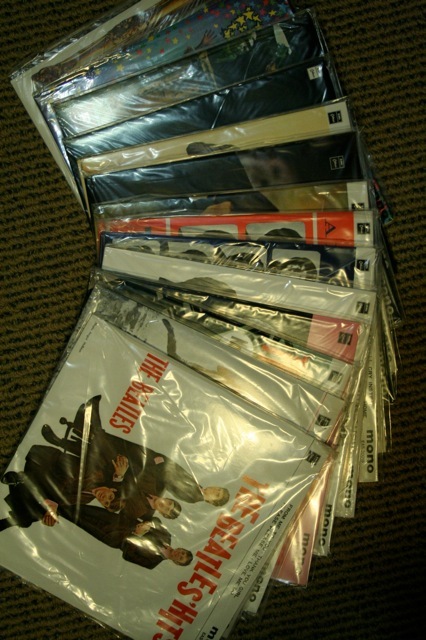 It was a chance visit to a local record shop in Forestville, a northern suburb of Sydney, Australia. Back then “record” stores were just that. They sold vinyl records. However, at the time many were in a state of transition. Compact Discs had just come out and the writing was very much on the wall for the humble vinyl record. At the time this record shop was in the process of getting rid of it’s vinyl, settling into the retailing of CD’s, and transitioning to become a video movie hire shop – on the way out of music all together. It was sitting alone. Catalogue number: Odeon Mono EAS-30013-26. You had the definite feeling that it had been on that shelf quite some time….had not sold…and the owners were definitely keen to shift it. I took it down and noticed it didn’t have a price sticker on it. I also noticed that amongst the individual vinyl singles they still had displayed that they’d opened at least one other similar box set to break up the contents and sell the EP records it contained individually. 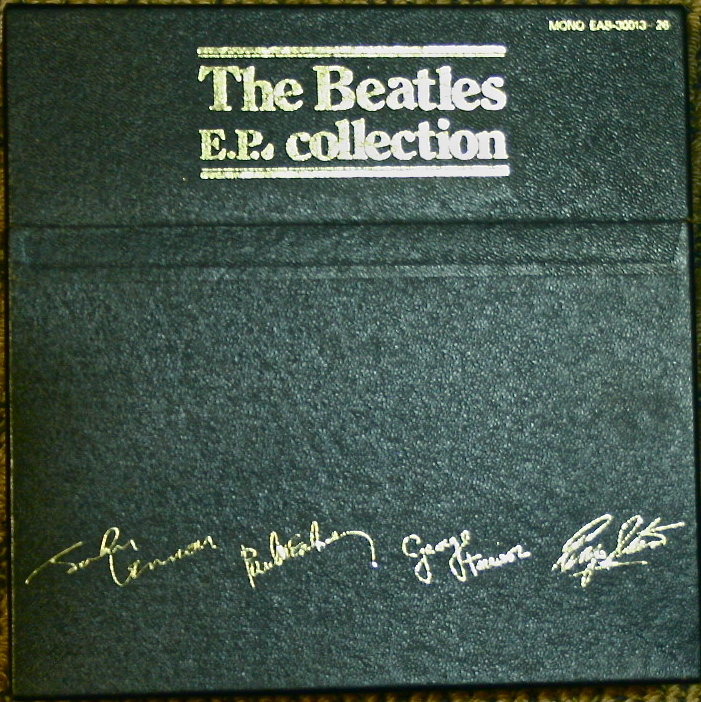 I walked up to the counter and asked “How much is this one?”, holding up the box set. “You can have it for A$25.00”, said the guy behind the counter. 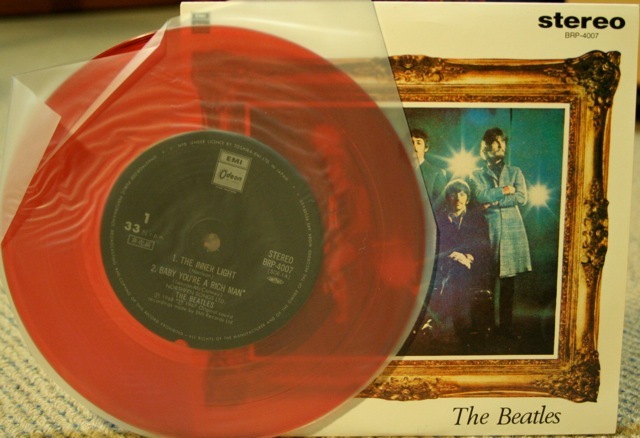 Now, back then it wasn’t dirt cheap, but it was cheap for the quality of this mint, red vinyl Japanese copy of the entire Beatles Extended Play vinyl discs. I bought it. What you see here is that same box set from all those years ago. 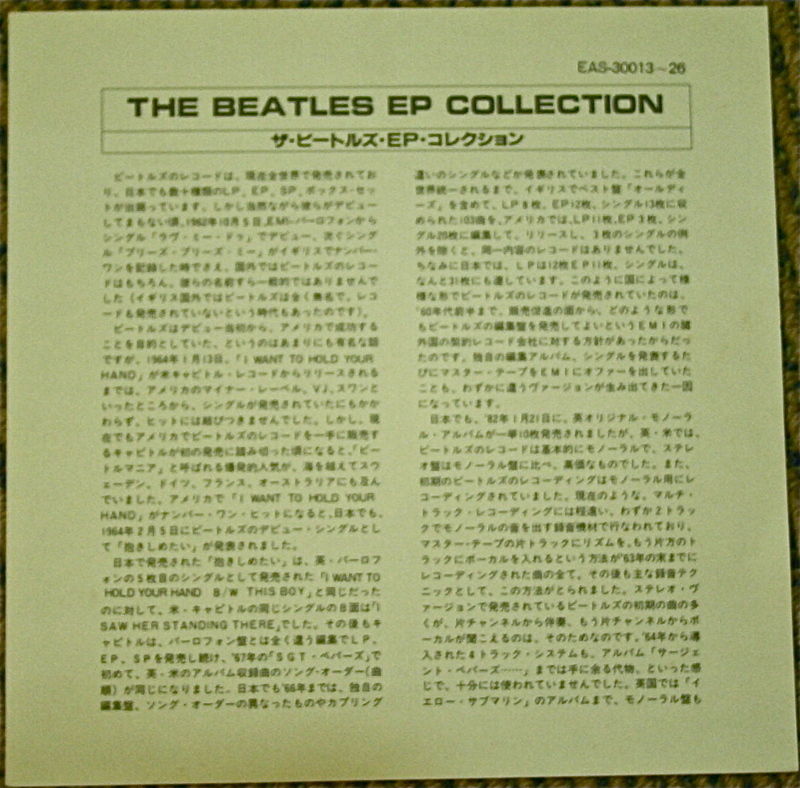 This Japanese release is the same as the U.K. set, except that all fifteen records inside are pressed on red vinyl and the two-record Magical Mystery Tour is in mono instead of stereo. 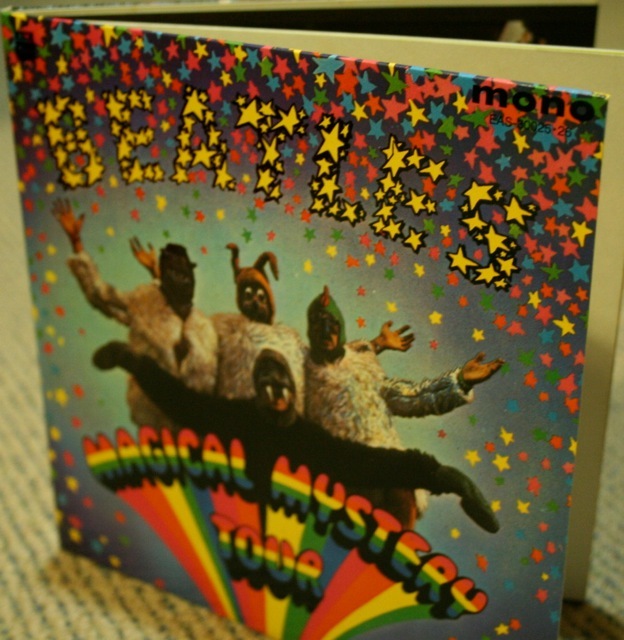 All discs in fact are mono – except The Inner Light, which is in stereo. Note the “33and 1/3 r.p.m.” on the left-hand side of the label. Apparently this Japanese red vinyl edition also came out in a black vinyl edition. 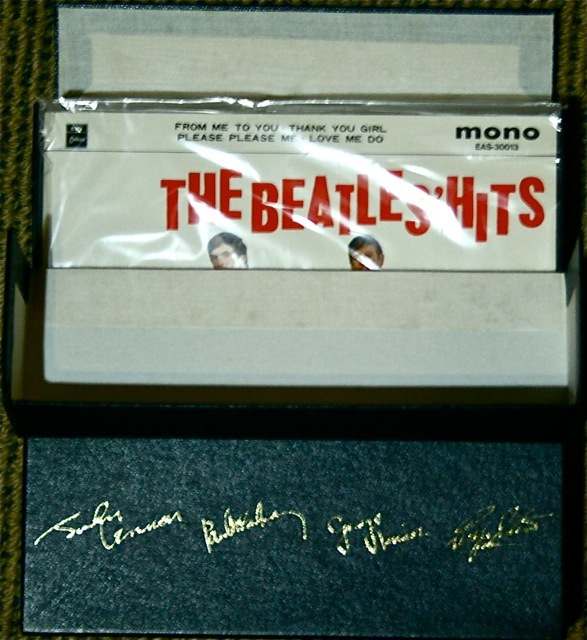 This entry was posted in Beatles, Beatles Collecting, Beatles Music, Beatles Related, George Harrison, John Lennon, Paul McCartney, Rare Beatles, Ringo Starr, Uncategorized and tagged Beatles, Beatles Collecting, Beatles Mono, Beatles Related, Beatles Stereo, Japanese Beatles, Japanese Box Set, Mono box set, Rare Beatles, Vinyl box set by beatlesblogger. Bookmark the permalink. Hi Tom, I’ve only played a couple of these once – and it was a few years ago now – and they sounded great. Really good pressings. I haven’t compared them with other pressings side-by-side though. Blog”. Imay surely be back again for even more reading and writing comments soon enough. 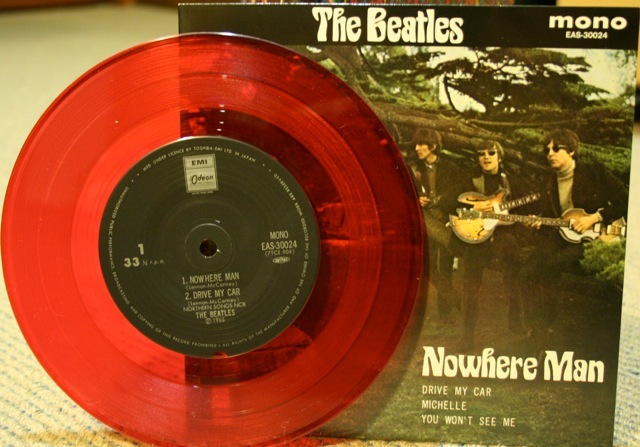 I had one of these in the 1990s, and although I love red vinyl Japanese pressings, Odeon really dropped the ball in the most crucial area of all on these – all mixes are stereo fold-downs, and not the actual mono mixes. If it wasn’t for that, it would be crucial to the collector.